Break out the cigars! 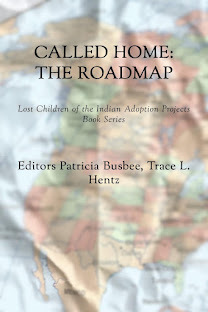 We have a new baby -- the brand new anthology CALLED HOME [Book Two: Lost Children of the Indian Adoption Projects]. Whew - it took way more than nine months to make this baby! I do treat books like babies, giving them love and attention while they grow. Eventually I let the book go off and travel on its own. It's not hard to watch it travel to new hands and lands. 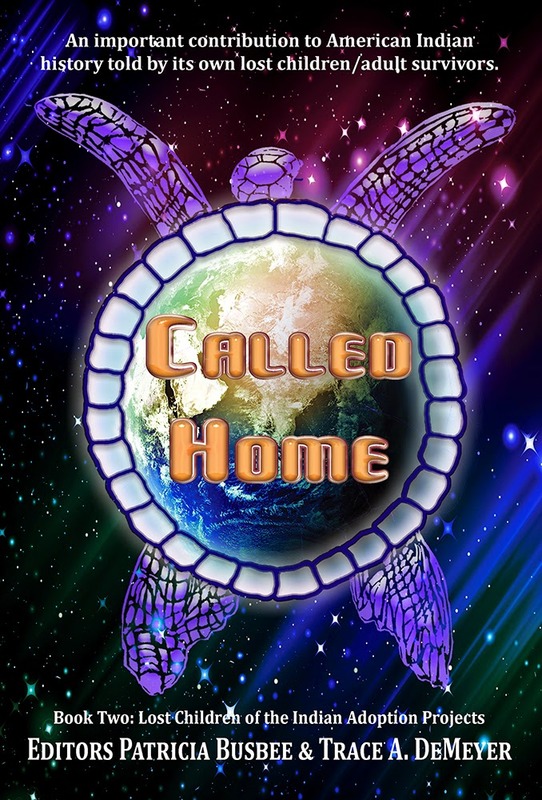 The 49 writers in this new anthology (plus one poet who is not an adoptee) didn't spare us any details of what it was like growing up outside of their culture and trying to fit back in. They are not "angry bitter" but changed by their experience of being adopted outside their culture and tribal families. 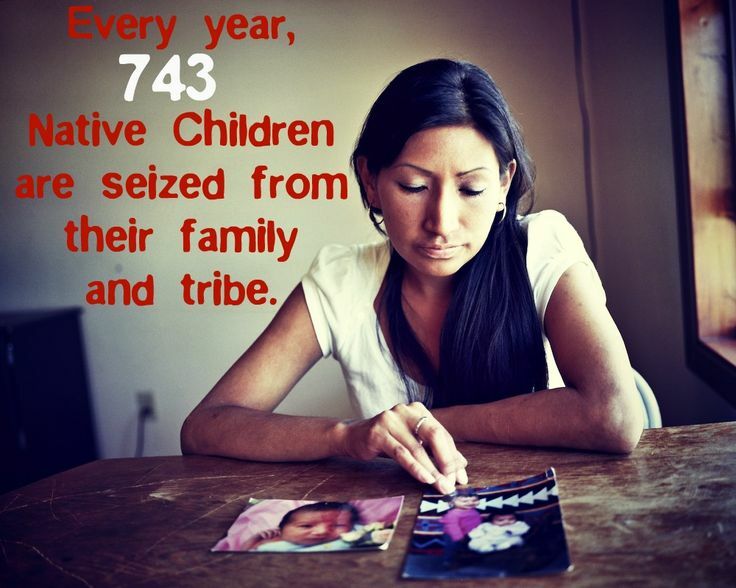 (Many were small children and separated from their siblings too. This is heartbreaking to read.) Finding your way back is usually the most challenging part, then come the reunions! Generations of families were affected and adoption does change all of us. That is the dilemma: adoptees feel we don't know enough to fit back in but we have to be back HOME to re-learn what we missed! 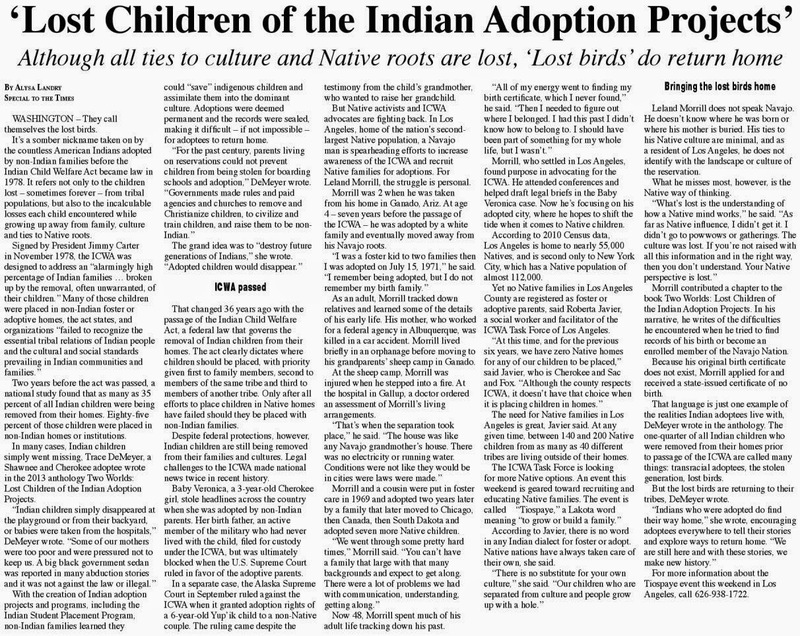 We cover topics like DNA tests, Baby Veronica (in depth), the movie PHILOMENA, Stolen Generations (60s Scoop history) and historical news like OPERATION PAPOOSE, one of Arnold Lyslo's Indian Adoption Projects. They are all excellent essays, so I cannot begin to choose a favorite but Levi's THE HOLOCAUST SELF will definitely stop you in your tracks. 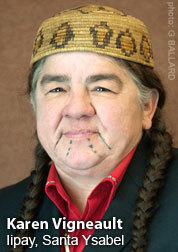 It applies to many humans who are marginalized, but especially Native Americans and adoptees in general. 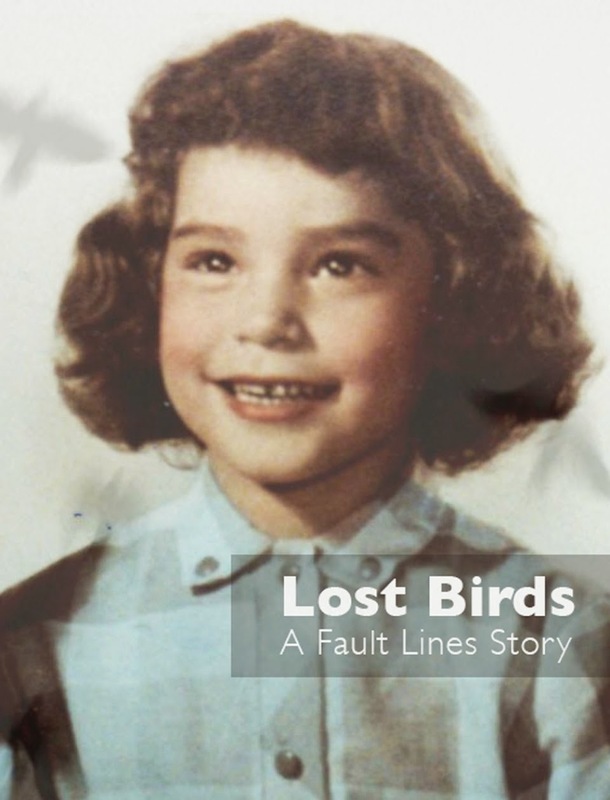 Co-Editor Patricia Busbee's introduction in the book is brilliant and heart-wrenching as she shares her reunion with siblings and shares pieces of the past in her adoptive mother's diary. ...My case worker told me I had to write a letter to my birth mother, explaining why I wanted to know her. I did this and sent it to her. Then I had to do some legal paperwork for the State of Nebraska and pay $15 to have it processed. Then I later received a phone call from my case worker, telling me to come to Omaha on a certain date. That I was not to come alone, to have a friend or family member come with me. My best friend Susan went with me to Omaha. We had no idea what this was about to happen? Was I finally going to meet my birth mother? We arrived at the address that I was given at the time they told us to be there. We were at a College Campus, in a classroom, filled with about 50- 60 people, sitting at round tables with 6-8 people at each table. We ate lunch. Then a Native American man started the meeting with a prayer. Then several different Native men and woman got up to speak, each one telling a story about their lives. The strange thing was, almost every story was almost the same about how they grew up and who they grew up with. Native people growing up in white families. We were all adopted. We all had alcoholic mothers who couldn’t take care of us. We all felt lost at some point in our lives and maybe some of us still did. We all had questions about who we really were. What was our Indian Culture or Heritage about, we didn’t know. Were we all related? Probably not, I thought to myself. Then suddenly, it hit me, I turned and looked at my caseworker from the Children’s Home. She had tears running down her face. I said to her, “You have been lying to me all these years, haven’t you?” She began to cry. I began to cry. Once I got myself back together, I told her it probably wasn’t her fault, that she was just doing her job. She’d been telling me what she was told to tell me..."